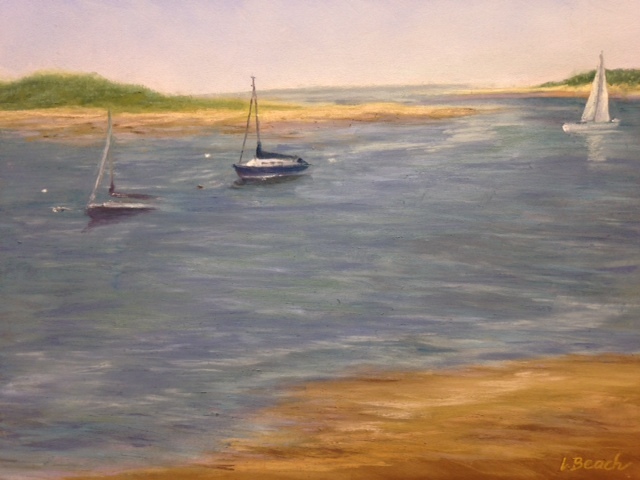 “Capturing Wellfleet” is a plein air painting event that is sponsored by the Addison Art Gallery and showcased at the Wellfleet Public Library. 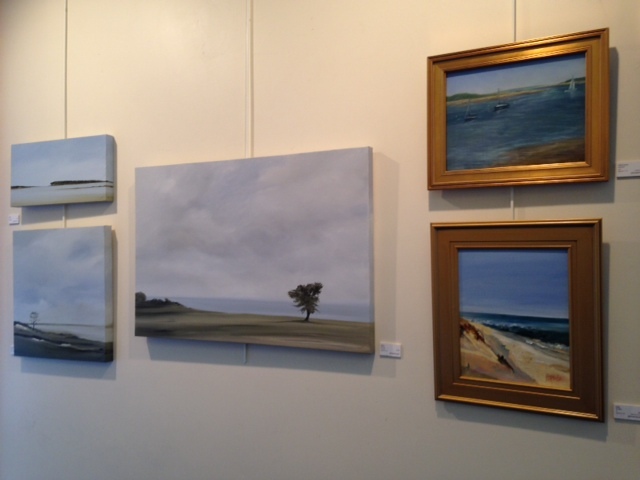 I was one of 24 artists who painted on locations around Wellfleet which is a town on the Outer Cape of Cape Cod. 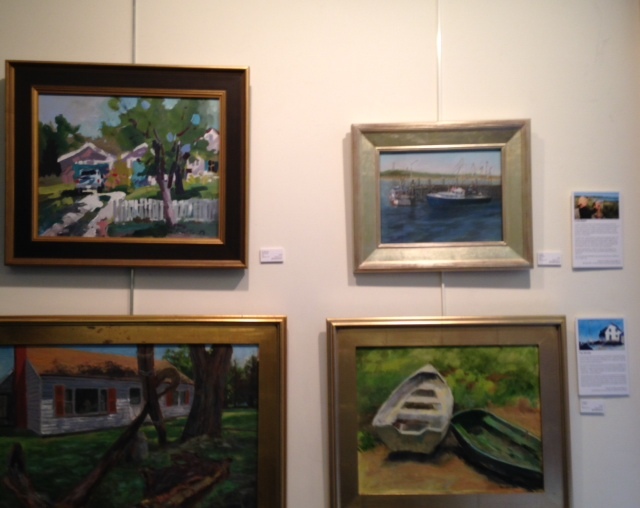 For an artist, Wellfleet combines beautiful landscapes of its protected harbor and quality art galleries. On Friday I set up my French easel near the pier and painted the scene before me as interested passers-by stopped by to watch the progress. It was a beautiful day for painting outdoors. The changing tide exposed more sandbars in addition to boats that continued to move provided more than enough challenges to the ever progressing light of day. Plein air painters need to work quickly to photograph, frame, and ready the work for a show. When the public arrived at the Wellfleet Library for the Saturday night reception the room was filled with art supporters, refreshments, and the music of a jazz piano. 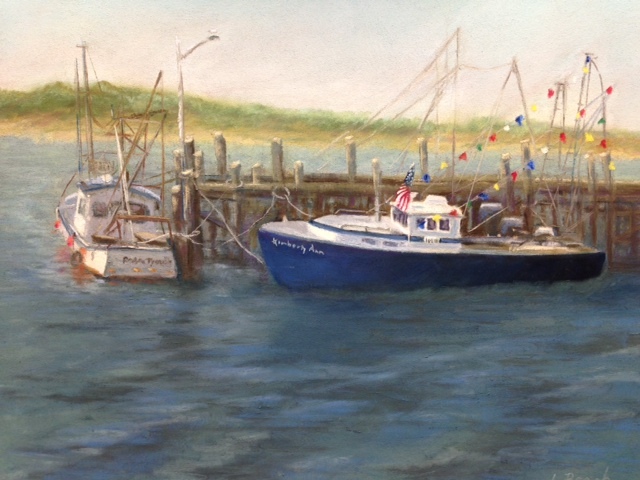 The show and plein air demonstrations continues through Aug.1st.